The Kavanaugh-Ford hearing will be a painful spectacle. It never had to happen. WASHINGTON — In this Trump Era, it’s a rare occurrence for any one story to dominate the political news for nearly two whole weeks. But here we are: 12 straight days of Christine Blasey Ford’s accusations — followed by two other women later stepping forward — against Supreme Court nominee Brett Kavanaugh, all capped by today’s extraordinary hearing before the Senate Judiciary Committee. And today’s painful spectacle didn’t have to happen. 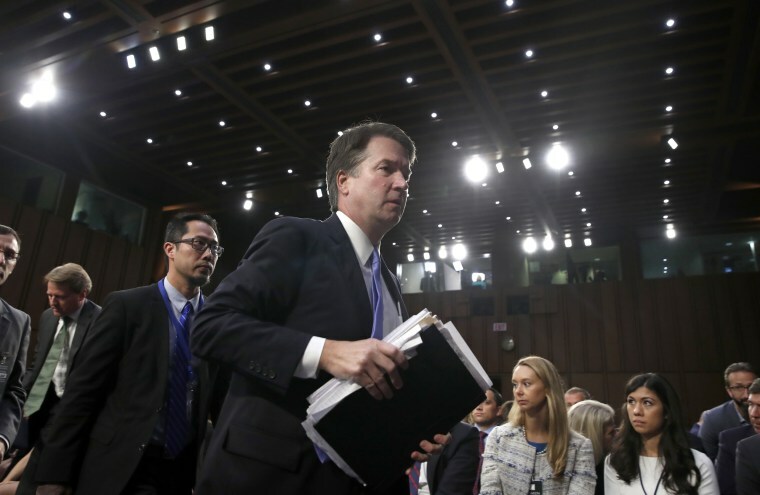 At any moment, especially after the second accusation by Deborah Ramirez, President Trump could have thrown in the towel on Kavanaugh and nominated one of his other finalists to serve on the nation’s highest court (Thomas Hardiman or Raymond Kethledge). Senate Majority Leader Mitch McConnell — who called on Al Franken to resign after multiple groping accusations him — could have pulled the plug and told Trump and fellow GOP senators that time would be better served trying to confirm a different nominee before November’s elections, when Democrats have about a 40 percent chance of winning control of the Senate. “McConnell and his leadership team have decided that surrendering on Kavanaugh would infuriate the conservative base and make the November midterm elections more painful, deflating turnout among their most loyal voters,” the Washington Post’s Paul Kane writes. Kavanaugh hearing: Could Republicans change their mind? Democrats, of course, aren’t free of blame here, either. They had information about Christine Blasey Ford’s allegations against Kavanaugh well before that Washington Post article — which led many Republicans to see the accusation more as a last-minute effort to sink the nomination rather than as a legitimate matter to investigate. But no matter who’s to blame, today is an embarrassment for American politics, Washington and the Supreme Court — the escalating judicial wars got us to this point. And today didn’t have to happen. The good news for President Trump and his White House is that yesterday’s hour-plus news conference has a shelf life of just 12 hours — due to today’s spectacle in Washington. “President Trump complained on Wednesday that ‘evil people,’ including women in search of fame and fortune, routinely fabricate sexual assault charges against powerful men, and argued that his own experience with such allegations makes him more skeptical of the accusations threatening to bring down Judge Brett M. Kavanaugh, his nominee for the Supreme Court,” the New York Times says.